Do you ever watch a movie and wonder just what the hell you are watching? I had that feeling last night. It was a movie I had never heard of before, but had somehow found its way into my Netflix queue. To be honest, the only reason I was even watching it was because it was about to expire. I am sorta, kinda, maybe glad I did. I enjoyed the movie, but it seriously had my head shaking as I tried to wrap my head around the abject absurdity that was dancing across my television screen. The movie is called Norwegian Ninja. It has nothing to do with ninjas. Fortunately, it does have something to do with Norway. This movie is really odd and has an aesthetic that wants you to believe it was made in the early 1980's and on a shoestring budget. Written and directed by Thomas Cappelen Malling, the movie is filled with cheesy fights, bad effects, highly stylized moments, and is generally unlike anything I have seen lately. The best I can think of is a comparison to Wes Anderson, it seems to fit, but filter his sensibilities through a coffee filter of reconstructed reality, with a reduced budget. Norwegian Ninja portrays a real person, Arne Treholt, and wraps a fictional tale around the actual events. Granted, I was not aware of any of this beforehand, but it does add another level of interest to the absurdity. In a way, I was reminded a little bit of Confessions of a Dangerous Mind. You remember, the movie about Chuck Barris (creater/host of The Gong Show) and how he was also a CIA assassin. The real Treholt was a political figure and diplomat who was arrested in 1984 and charged with high treason (specifically, selling secrets to the Soviets during the Cold War). He was sentenced to 20 years in prison and served 8 prior to being pardoned. 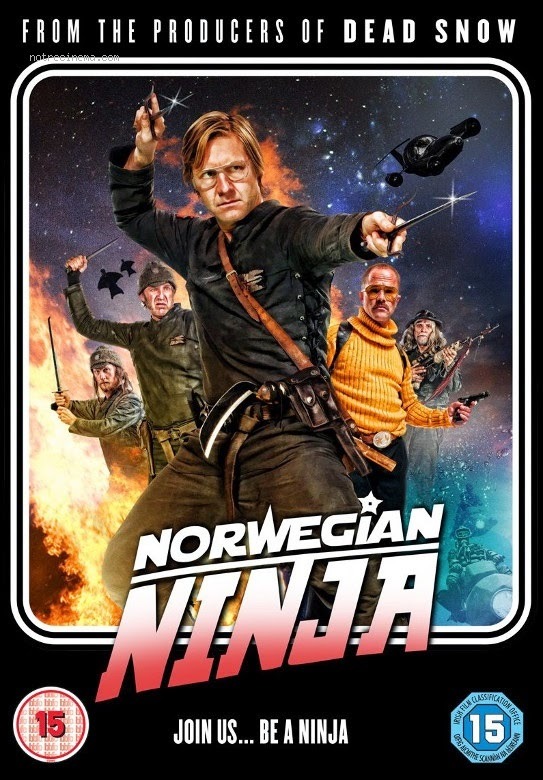 This movie fictionalizes the events leading up to his arrest by showing he was actually the leader of a ninja team working under orders from the King of Norway to protect the Norwegian way of life. The enemies were the Soviet and American factions who were working to undermine leadership and gain controlling considerations in the country. This really is a nutso movie. We follow Treholt as he lives with his ninja team on a remote island, living as farmers and protected by feng shui (yes, feng shui). Let's not forget the car boats, rocket cars underwater motorbikes, and more. Perhaps if Wes Anderson was 13 years old, this would be what his movies looked like. It is chaotic, borderline nonsense, and is not going to be a movie for everybody. It is an action/comedy that borders on the arthouse with a purpose that is goofy entertainment and serious examination all at the same time. I am not sure I picked up on everything, not knowing anything about the reality of the subject in the first place puts a bit of a damper on it. 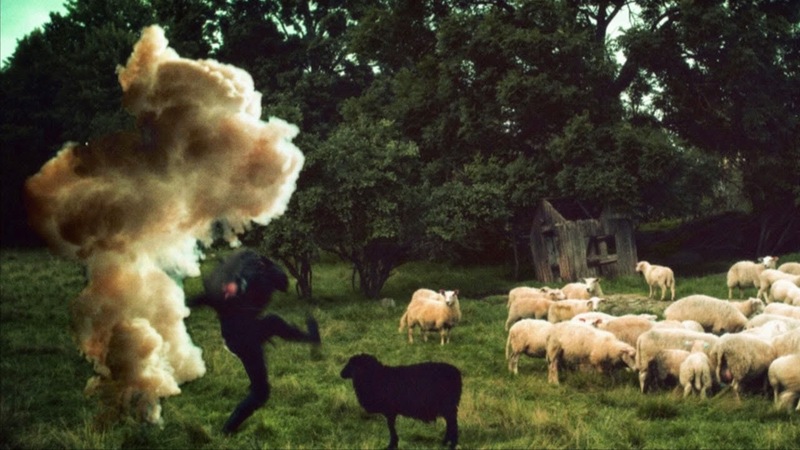 Still, it is a wild and nutty excursion into an imaginary land where fantasy crashes into reality with bizarre results.